At which stage in a topic do you stop modelling examples? I’m going to go out on a limb and suggest the answer is probably….too soon. I’m going to go further and suggest that the rationale you have for doing so is probably wrong. Here are examples of conversations I’ve had, or resources I’ve seen shared, where what was suggested sounded superficially sensible until a moment’s reflection made me think they had it completely backwards. 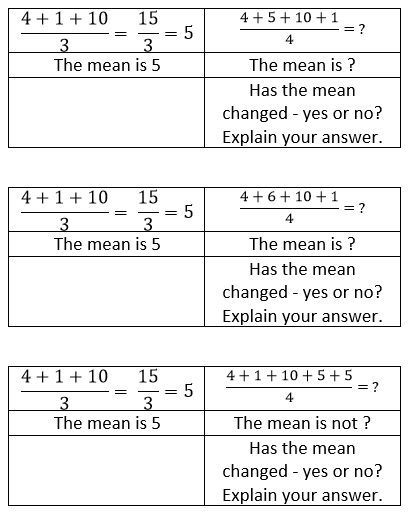 (paraphrasing) I’ve prepared the lesson on multiplying proper fractions, and set them an extension homework on doing it with mixed numbers to really stretch them, since it’s set 1. (paraphrasing) I’m going to model how to expand and simplify (a+2)(a+3) and (b+3)^2 and (a-5)(a-7). They need to be able to do it with coefficients in front of the variable as well, and when the order or variables are different, such as a (3+a)(5-b), or three terms in one of the brackets, but I don’t want to show them too much so I’ll put those ones in the worksheet. I don’t know the author for the TES resources, but I can certainly attest that the first two were intelligent colleagues who were making those judgements as a result of serious thought. They are decisions I would have taken earlier in my career as they fit with not wanting to spoon-feed pupils and I wanting them to enjoy a few head-scratching moments. Both are laudable aims and are important considerations. It is boring for pupils if they never have to think, and it makes it less likely that they’ll remember what you teach them. Modelling seems like a boring thing to do. They are just sitting and (hopefully) listening. Pupils will get bored and restless. Modelling takes ages, especially if you’re checking they understand as you go and are asking questions to get them to tell you the next step, and so on. If you modelled every example, they’d never get any practice, surely! We want to feel that they’re getting a chance to figure things out for themselves and really enjoy maths (i.e. feel like mathematicians, trying out strategies and reflecting on them). It feels a bit cold and exam-factory-ish to explicitly model every form a procedure or problem can take. Where is the room for surprise? They only need a basic grasp of it, they’ll get a chance to look at the harder ones again in Y9/10/11, right? Homework should be interesting and new. Researching and learning about more advanced or complex versions of a problem or procedure is way more interesting than more practice of what they’ve already done. (I suspect this is truer than we’d like to admit) The difficult examples are really difficult to model. We’re not sure how we know how to do them, they’re just….you just can see it, right? Modelling isn’t thrilling, but it is the most efficient and effective way to get pupils to be able to do procedures. Procedural mimicry isn’t the goal of our instruction, but it is a crucial foundation. It is also the bulk of what we are doing in secondary. It is almost impossible to get a (typical) child to understand a concept when they have no procedural fluency with the topic. Modelling wouldn’t take so long if you didn’t ask so many flipping questions during it. We do so much talking that isn’t simple, concise narration during an example that pupils – understandably – think procedures are much longer and more complex than they actually are. Think about how long it takes you to solve ‘4 + 5a = 17’ if you aren’t showing it to anyone. I assume 5-20 seconds (since you’re a teacher…), maybe 30 if you show every line of working. They should see this! Taking several minutes to model one example sets them up to think it is fine to think they can spend more than 2 minutes per question on questions that are, frankly, trivial. Letting them have head-scratching moments is fine, but it should be in response to a question that synthesises what they have been taught, and doesn’t require them to invent new knowledge (well, new to them). Leaving the hardest content for them to try on their own is just crazy: it disadvantages the weakest pupils and those who haven’t had good teachers on this topic in the past, it makes ‘giving it a go’ seem incredibly hard and adds to the perception that teachers are just refusing to tell them how to do things to be annoying. They should try hard problems on their own, but you should have first equipped them with requisite techniques and knowledge. You should still show them the elements of surprise in maths. When showing them how to form algebraic proofs, we first look at the propositions with real numbers and form conjectures (e.g. for four consecutive integers, what is the relationship between the product of the 1st and 3rd and the square of the 2nd? Does this always happen? How will we prove it?). They should get hooked in, and make conjectures, and experience the pleasing smugness of having applied what they already know…BUT YOU SHOULD ALSO SHOW THEM, REALLY CLEARLY. Ten may have figured it out before you finished modelling it, but twenty didn’t, and they’re relying on you. Well-designed questions in their independent work will still force them to think and synthesise what they know and test methods, but won’t ask them to stab in the dark with no sense of if they are right or wrong. We tend to overestimate how much pupils can tell if their work is correct or not. Lucky Y9/10/11 teacher. This increases the gap they need to bridge as they approach the end of Y11, and also means that they have simplistic ideas around a topic (and probably many misconceptions). They need to see the complex versions, and grapple with them, to really grasp a topic. Once you have taught them to reflect in the line y = x, reflecting a simple shape in a given line seems like a breeze. Often the fastest route to mastering the basics is tackling the tough stuff (at least, that seems to be true for my weaker classes!). What a way to make homework seem annoying and pointless. If they struggled in class, there is no way they will be able to do the homework. If they got it in class, they MIGHT be able to do the homework…but probably only if there is an older person in the house who can help them, or a really good CorbettMaths video on exactly that procedure (so it will only work for procedural work anyway). I’m all for letting the most able fly ahead, but it shouldn’t be so cynical as this. I cannot see the logic of presenting the most challenging work at the point of lowest support (i.e. you’re not there, and they are tired and probably rushing it). It also makes you seem like a rubbish teacher: “I can’t do it because she didn’t teach it to me.” They wouldn’t be wrong for thinking this. Explaining how to enlarge a fiddly shape by a negative scale factor is annoying and difficult. Proving congruence with annoying parallel lines is really difficult to do, let alone explain in a clear way. I just ‘see’ the answer to those long locus questions and feel like if they just read the question more carefully then maybe…maybe they’d just kind of realise? If we struggle to explain it, and are relying on our instincts to know what to do, then goodness help them trying to do it with no guidance or instruction from us. Think of all the variations a problem or procedure can have, and plan examples that cover all these eventualities. 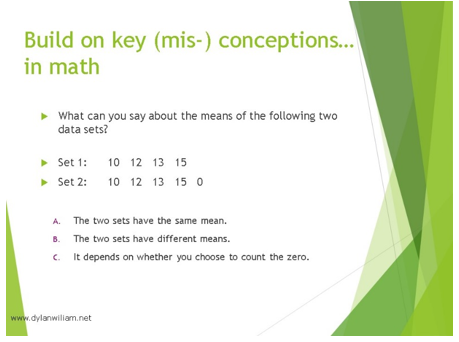 Pair every modelled example with a highly similar one for pupils to do. This holds them accountable for listening to, and thinking about, what you are showing. It also gives you feedback on if that small segment of instruction made sense to them. Make examples challenging. Yes, start with (a+4)(a+6) to help them see the simplicity of a grid. Unless you haven’t secured the basics with multiplying and simplifying, you should be able to then show (2a+5)(4+3b) and then an example with three terms in one of the brackets. 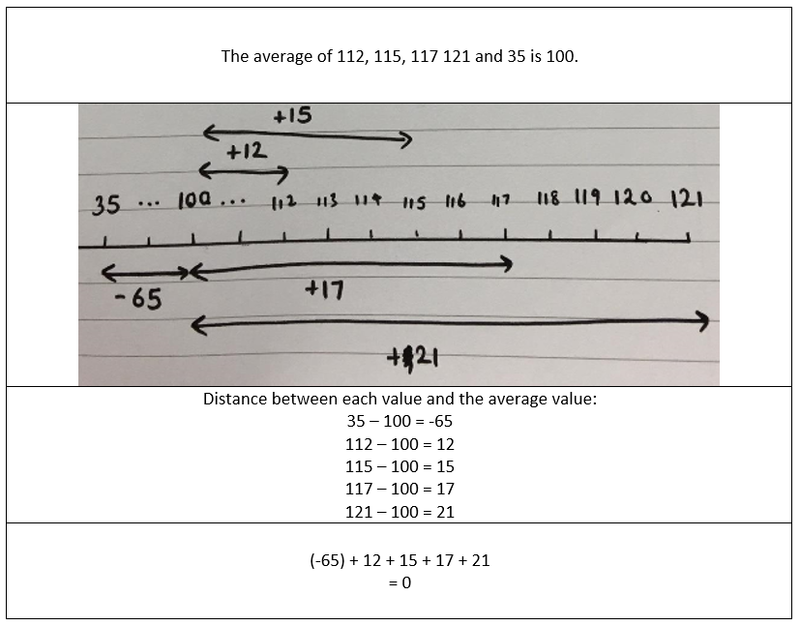 I was struck by this in a talk at MathsConf last year, where teachers who had visited Shanghai were showing the kind of examples that teachers there used with pupils. They were doing LOADS of examples, but briskly and covering a wide range of applications, which meant that pupils were in a better position to see the common threads and critical differences, and not jump to incorrect conclusions. I shudder to think how many pupils in the UK think that the terms in ‘the diagonal’ in a grid for double brackets must be the ones ‘that go together’, having only seen examples in the form (x+a)(x+b). Just model it! Make it quick, make it concise. Something that works well for my weakest pupils is to have a silent model (i.e. they see the physical motions to enlarge a shape, or expand two brackets, or do the same to both sides), then one which I narrate (no questions or clarifications), then one where I check that they can mimic (i.e. they do a very similar one on whiteboards so I can see if they can recall and follow the steps – this is much more important than them being able to articulate the steps…at least at the early stage). Start at the basics, but move as fast as you can to the harder content, and you will reap rewards. They will also ask much more interesting questions and feel smart. You’re also not saddling their future teacher with too much to get through. Just use homework to practise and consolidate things they already know how to do. Set homework where you can expect 100% of pupils can get close to 100% (provided they are putting effort in). Otherwise you are setting up a grey area where you can’t tell if non-compliance is your fault or theirs, and you have lost the homework battle. You also save class time by not practising things where they need your help less. The harder it is to explain, the greater the imperative that we spend time together planning and refining (and ideally practising) those explanations. The return on planning and rehearsing complex examples is huge: it will illuminate the key features for simpler cases, help you see the crucial things they must do from the start, and also streamline your language for easier questions. Pupils always rate highly a maths teacher who can explain well, and lose faith in those who can’t. If you can’t explain it well, they’ll think the problem is that they are stupid. That is a tragedy. One of the great things about working at Michaela is watching the rapid transformation of our Year 7 pupils. From their baptism of fire induction in the first week, through to the end of the summer term, our youngest cohort improves hugely in terms of habits, behaviour and confidence. The same is true when teaching them history. I was really impressed by their latest essays, particularly from the lowest ability groups, that I thought it would be useful for me to blog about how we got there. We are so lucky in our department, in that we are given the space and time to talk about what to teach and how to make sure it sticks. Unlike the monstrous regimes of data meetings, school wide marking policies, or discussing the latest diktat from on high induced by ineffectual accountability regimes, we are actually given the space to talk about what to teach our Year 7s. How do we get Year 7 writing analytically? Use of Knowledge Organisers to embed key dates, people and events as well as analytical vocabulary needed to analyse a specific question. Lesson content which challenges all pupils, with extra content used to enable the high ability pupils to draw upon more examples in their essays. Pre-empting common misconceptions and more practice for the weaker pupils. Constant repetition and drilling of the key horizontal and vertical vocabulary within lessons. Pupils need to be constantly exposed to good historical writing. We are doing them a disservice by assuming that even with enough knowledge, pupils will be able to conjure up a well written and historically sound essay. It is fair to say, that most of the main historical ‘points of clash’ in a debate have already been discerned. A pupil in Year 7 is not going to break any new ground in terms of historical scholarship. We, the experts, need to guide our pupils onto the right path of analysis (for that specific topic). Critics may say that this is too prescriptive, or that we should just teach them how to ‘think critically’, and analysis will follow naturally. I think we need to be teaching them the main arguments for an essay as explicitly as we teach the dates, people, and events needed to construct the essay. Is this how historians really conduct their analysis? Do they approach every question with the same critical toolkit, or does each question require specific domain knowledge in order to answer that question and formulate that critical toolkit? Can our time in the classroom be better spent embedding knowledge and the structure of analytical writing, or getting them to discover the answers themselves – particularly in Year 7? By the end of year 7, some of our pupils are able to prioritise causes and sequence them both chronologically and in order or importance. By Year 9, given the strong foundation they already have, we are able to develop their vertical vocabulary to include the ‘weight’ of different causes (latent causes, triggers, underlying causes, accelerators and pre-conditions). Every time pupils write a paragraph, we give short and sharp feedback which the pupils then act upon immediately. Because the behaviour is so good, it also gives us time to go around and give verbal feedback to each pupil in the lesson itself. Their paragraph structure has remained the same since their first unit, with more examples and complex conclusions built in as time goes on. In the future we can flex and adapt this structure to meet the complex demands of historical questions later at KS3. 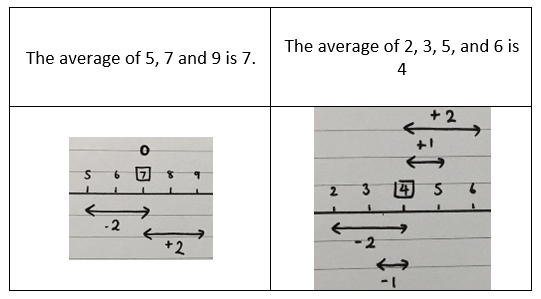 In their final year 7 unit, we try and flex this foundational structure even more by looking at a question which incorporates change and continuity as well as causation. Below are some examples of the final essays they wrote for their Anglo-Saxon history unit. All essays were completed in 50 minutes entirely from memory. These are a selection from our high, middle and low ability groups. Strengths: Excellent sense of period. She clearly understands the ideas of peace and conflict as pre-conditions for nation-building in the English context. It is also really pleasing to see clear references to her knowledge of religion, which is taught alongside history as a Humanities subject (see use of ‘monotheistic’ and her knowledge of the ‘Ten Commandments’. She also makes a link between King Alfred and King Hammarubi, from when she studied Ancient Mesopotamia. Strengths: Correct chronological sequencing. Huge amounts of specific details recalled to strengthen her analysis. Eg. Correct dates of the Synod of Whitby, Bede’s Ecclesiastical History of the English people. This pupil has an excellent sense of period, with the essay drawing upon ideas from 597AD-1066, and with clear references to the development of the ‘heptarchy’ through comments about the development of a nascent identity through religion and clarity on the role of translation from Latin to West Saxon English as a vehicle for unification. She also makes links between her bigger concepts, by linking Alfred the Great’s penchant for translating great works and his leadership of Wessex during the Viking invasions. Room for improvement: There is an implication that conflict was the key factor, but it is not explicit. As I suggested earlier, this is not necessarily a problem at this stage – particularly for such a broad question. These analytical structures will be taught in the subsequent late medieval unit. Strengths: The strengths of a knowledge-rich curriculum are really highlighted with this pupil’s paragraph on conflict. Here the pupil makes reference to the Great Heathen Army, the Battle of Brunanburgh and even the campaigns of Edward the Elder and Aethelflaed. He also remembers the historical significance of Aethelflaed as one of the key women in English history. He also uses the correct Old English diphthong: Æ. Room for improvement: He is evidently thinking in a thematic, rather than chronological way. It would have been much better had he had prioritised and ordered the disparate elements of warfare in a logical way. Strengths: Excellent clarity and prose. Use of various synonyms to highlight ‘importance’. Good links made to his religion lessons (monotheistic, Ten Commandments). Room for improvement: Clearer explanation of why Offa’s coinage enabled him to project his authority and create a shared sense of loyalty, rather than just focusing on the economic element. Example 3: Not adding the average value to the new data set – resulting sum isstill divisible by the new denominator. The mean has changed. As is the case in every school, the Michaela Science department has made its fair share of mistakes. After a few years of experimentation, trial and error, we have learned many lessons about what to do – and what not to do – in the science laboratory. Like all teachers, we want to provide our pupils with the best possible experience, and enable them to learn as much about the subject as possible. We also want to instil a lifelong love of science, and support lots of our pupils to use science in their future careers. Fundamentally, our belief is that the best way to support pupils’ curiosity in science is through knowledge. By giving them the building blocks of scientific knowledge, and by supporting them to remember it throughout their time in school not only ensures they will have secure understanding of the world around them, but will provide them with the foundation for greater creativity in science. But whilst our fundamental philosophy hasn’t changed over the last three years, we have of course reshaped and adjusted where necessary. Rather than using traditional textbooks or piecemeal worksheets as we did early on, we print each pupil a copy of our co-planned department textbook. Textbooks contain recap questions, explanations, diagrams and questions, and pupils can annotate examples with any further clarification given to them by the teacher. In the first year, with only one year group, I was the only science teacher in the school. This had lots of benefits: I was able to spend my time focusing on the pupils and getting the curriculum ready for future year groups. In terms of lessons, I relished the flexibility. I was able to spend longer on certain topics, often blending from one lesson into the next. But as new staff joined the department, I realised that wasn’t helping them. To support them better, I had to decide on what to cover in each lesson, and make that clear to them in the textbooks. It doesn’t matter how well taught pupils are in the fundamentals; if they don’t practice exam technique frequently enough, they will struggle in assessments. I have dedicated more time to this over the years, and now all of our pupils answer a 25 mark exam paper every week. Untangling practical skills from ‘Bloom’s Taxonomy’ skills took a while. Now, before every practice, pupils are explicitly taught practical skills such as identifying variables, plotting graphs, choosing graph scales, completing risk assessments, writing conclusions and evaluations. We’ve switched from verbal to written drills over the last year, and I wouldn’t go back. This has really helped to increase the amount of practice each pupil gets, and gives me clear, instant feedback that I can focus on immediately as well as in subsequent lessons. In the first year, we spent hours each week planning multiple choice quizzes. At one point, I was even differentiating these for each class, which was extremely time consuming, and didn’t seem to have much impact on learning. Now, we simply test content taught that week in a simple format. The quizzes increase in complexity each week, meaning that there is enough stretch built into the unit for the most able pupils. We haven’t perfected it yet, but learning from our mistakes has helped to department to grow, supporting pupils and staff to achieve their very best. Keen to learn more about Michaela? Read our book, Battle Hymn of the Tiger Teachers, available here. If you’re keen to learn more about how we resource our lessons, why not join us for a Summer Project this year? More information here. I have written previously about Teach Like a Champion, a book I feel to be the most important contribution to pedagogy advice I have read. Although it is nearly impossible to pick which of the important techniques are the most vital, ‘warm strict’ is definitely up there: in fact, it may even be the foundation of a successful education. The thinking behind ‘warm strict’ is that you should not be either the warm, friendly, kind teacher or the strict teacher: you need to be both. And not one after the other – it’s not Jekyll and Hyde – but both, at the precise same time. So ‘warm’ and ‘strict’ are not mutually exclusive. In fact, at Michaela, we have found that the more strict we want to be, the more warm we have to be. Anyone who has visited Michaela is immediately struck by the behaviour of the pupils. It is unusual, they say, to find classroom after classroom where 100% of pupils are focused for 100% of the time. Row upon row of eyes are fixed on their teacher, or on their exercise books. There is no staring out the window, no fiddling with a pen, no hanging back on their chairs. Not only within lessons, but also between lessons, Michaela teachers are seeking out opportunities for warm interactions with pupils. At break time, tutors circulate the hall their year group is based in, shaking hands, chatting about their weekend or their interests; we even have footage of pupils teaching their tutors how to dance. At lunchtime, we eat with our pupils; teachers will seek out kids they have had to sanction or have a difficult conversation with, and use that friendly interaction to reset the relationship in a more positive tone. Because we are so strict, it is vital that every teacher greets every child with a smile and happy ‘good morning!’ prior to each lesson. Because we are so strict, we must smile and chat with the pupils on the playground, in the lunch hall, and even at the bus stop. Because we are so strict, we need to let our love show. All truly excellent teachers love their pupils – that seems obvious to me. But if you want to be really, really strict you need to show them that love in every smiling interaction. At Michaela, lessons are not graded. Like many schools, we have moved away from the old paradigm of observing teachers once per half term in a high stakes, pre-planned, pay-determining observation, towards a new one. We have a truly open door policy in which all staff are encouraged to observe each other regularly. We also have a number of visitors each day, so I regularly have people observing from the back of the room. Rather than feeling a bit unnerved by the presence of an observer, I now feel pretty relaxed, like it’s the norm. I don’t feel like I have to perform or change what I’m doing just because someone has walked in. Even when one of the school’s SLT pop in, I don’t feel the pressure to show off. The other great thing about having an open door policy is that there’s no pressure to spend hours the night before planning the lesson or creating silly bits of paper that only benefit the observer (endless data sheets, colour-coded seating plans, 3 page lesson plan pro formas, and so on). My most frequent classroom visitor, of course, is Olivia Dyer, my Head of Department. She pops in perhaps three or four times a week- perhaps for 10 minutes, perhaps for the whole lesson- and fires through a quick feedback email straight away. The main purpose of lesson feedback at Michaela is twofold: first, it needs to be immediately actionable. I should be able to read the email in a couple of minutes over break, perhaps, and then implement it straight away in the next lesson. If I can’t get to the email until the end of the day, I want to improve quickly, I do try to read it as soon as possible. Secondly, lesson feedback aims to help all teachers hone their practice, and most importantly, becomemore ‘Michaela’. At Michaela, we believe in ‘rowing together’. We value consistency and want all our pupils to get a similar experience across the board. Critics might argue that such an approach is too rigid, that it prevents teachers’ individualities from coming across in lessons. This is a misconception, I think. Teachers’ personalities are still able to shine through. When I go to see Mike Taylor or Hin-Tai Ting teach, I see many of the same features (kids encouraged to put their hands up, books given out in 10 seconds, teacher saying ‘321 SLANT’, etc. ), but their respective personalities are different, and their relationships with the kids can flourish as a result. In many ways, the fact that we get teachers to align on the things the mechanics of the lesson means that teachers are free to be themselves and build relationships. We also accept that there may be differences between departments. So Science lesson feedback will probably have different emphases to that of a History lesson for example. The differences might be quite small, such as ‘when explaining the experiment, hold the beaker higher up so the kids can see it at the back’- clearly, that sort of thing won’t come up in History, but tailored feedback on the teaching of historical paragraph writing will at some point. But because the general principles are the same across the board, subject-specific differences don’t undermine the overarching philosophy of consistency. Observers provide helpful, concise, immediately actionable feedback that supports teachers to improve. Thanks for having me in again today. A couple of tiny, quick fix things! 1) Pace. You need to ensure absolutely no downtime in the lesson. You should aim for the kids to always be actively listening, tracking, thinking and working. Figure out ways of logging merits, etc. quickly so it doesn’t interrupt the pace of the lesson. I like to give the kids a piece of paper and get them to write down merits and demerits – that means you can just get on with teaching. 3) Radar. Your use of silent reminders and getting them to practise routines is great; now, you need to practise having your eyes on every child every minute. This will take time to develop, but when you’re delivering from the front, try and scan the room as much as possible to pick up distractions. Stand up on your tiptoes and look round the room like a meerkat so the kids know you’re watching them. In the past, my hands-down-favourite thing about teaching was being in the classroom, with the kids, bouncing off their energy and enthusiasm and teaching them French, and seeing them grow in knowledge and confidence and ability. That feeling only increased when I started at Michaela. The exceptional behaviour standards meant that we could have a real giggle, that my pupils would learn LOADS in an hour and their energy and enthusiasm would stem, in the main, from feeling clever. But a new thing threatens to knock the act of teaching off its perch as my favourite thing about… well, teaching. And that is: resourcing. We teach French very differently at Michaela, and in order to do that we make our own resources. Those resources are very dense – you can get loads out of a single text, or a single practice activity, and our emphasis on repetition and spaced practice means they get reused again and again. I have shared a couple of our knowledge organisers – one of those, along with other practice activities, normally lasts six weeks. We are constantly refining and developing the materials we use, but they are built on a solid foundation of the written word, lots of reading, lots of transparency and lots of beautiful language. This Summer, from Monday 24th July to Friday 4th August, we are running a Summer Project to design and produce even more resources, with a particular emphasis on Key Stage 4. We – my colleagues and I – will be working for two weeks to design and produce the texts, activities, practice drills etc. that we will use with our pupils week in, week out, for years. I’m ridiculously excited! Evangelical as we are about how we teach French, we want to share this experience with others, and give you the opportunity to come and work with us. We’ll be based at Michaela, and you will get an insight into the thought process behind our resources, a chance to work with Michaela staff to create them, and a chance to discuss the fun parts of pedagogy, like “what little story can we tell about the word ‘quelqu’un’ to help pupils remember it?” and “which idiom sounds more authentic here?”. It would be ideal if you could do the full two weeks, so that you get the most out of it, but we will consider those interested in doing one of the two weeks. Expect it to challenge everything you previously thought about language teaching! If you’re interested in taking part, please send a brief email explaining why you’d like to be part of the project to me at jlund@mcsbrent.co.uk. How can we deal with the difficult situations we face? What does it take to improve our minds? Their answers are the heart of Stoic philosophy. We in schools can use their insights on themind, on adversity and on practice to help our pupils shape their thought patterns. “Some things are under our control, some are not. We are responsible for what is in our power to control: our mind and its perceptions. The chief task in life is simply this: to identify which externals are not under our control, and which are the choices we actually control. We control our opinion, choice, attachment, aversion. It is learning to separate the things that lie within our power from those that don’t. Children at school are learning how to deal with difficult emotions: frustration, worry, fear, cravings, temper, arguments, gossip, jealousy, squabbles, hurt, bitterness and more. Stoicism offers fortifying ways to think about these difficulties. show pupils what is always within their control: their thoughts, responses and reactions. preemptively teach pupils how to anticipate and cope with adversity. guide pupils to change their perceptions so that they complain, blame and resent less, and instead keep perspective, stay grateful, and are happy. let go of frustration: by realising that it is in the mind, so within our control, and by remembering that irritation is counter-productive and should be released and not dwelt on. let go of worry: by remembering that the more we worry about things we can’t control, the worse we feel; the less we worry, the calmer and happier we feel. cope with arguments: by avoiding criticising, complaining, blaming or resenting others, and instead feeling cheerful and grateful for what we have. Epictetus was a Greco-Roman slave who earned his freedom and became a teacher. Marcus Aurelius was a Roman emperor taught by philosophers who wrote personal diaries. Lucius Seneca was a tutor and advisor to the emperor of Rome, who wrote letters and plays. All three thinkers used analogies, mantras and writing: notebooks, diaries, letters or plays. Slavery: irritation enslaves us; wisdom frees us. Illusions: anxieties are creatures of our own creation; we can get rid of them. Boxing: we must train hard so we don’t get beaten! Here are six ways we see it come in handy: in detentions, in exams, in arguments, inpain, in sport and with their families. In detention … stay stoical! Sometimes, pupils feel upset or resentful about being given a detention. In conversations with them, we remind them to stay calm, stay stoical, keep perspective, let go of anger, work out what they control, think about how they can build trust in future, and decide what they can do differently next time. Before, in and after exams … stay stoical! Tests can be seen as stressful by children. We help them see that preparation, revision and overcoming procrastination is within their control. If they fail an exam, or get a poor result, staying stoical and not agitating about it, but instead focusing on what they can do differently, helps them for the next assessment ahead. In arguments … stay stoical! When children get into arguments with their friends or fellow pupils, stoicism can help remind them to practise keeping a calm mind, ignoring gossip, vicious rumours, or insults, and staying positive rather than exacerbating mistrust and anger. When ill or struggling… stay stoical! It is sometimes a struggle to come in to school if children have a cold or feel a little ill; persisting rather than giving up makes them feel proud and strong. One Year 7 pupil we teach lost a tooth in assembly, put it in his pocket and carried on listening. One was stung by a wasp at sport, and overcame the pain by keeping stoicism in mind. Another gets regular nosebleeds but proudly endures. After she broke her wrist just before exams, another taught herself to write with her left hand, and is now ambidextrous. The stoic mindset reduces our fragility: the volatility of the world can’t destabilise us. With stoicism, problems become opportunities to train our resilience. 5. At sport … stay stoical! 6. With your families … stay stoical! Children experience difficult times growing up with parents, siblings and cousins. If they are taught how to stay stoical at school, it helps them to overcome arguments, illness and adversity in their family. It can help them keep perspective, stay grateful and not take their brothers, sisters, mums and dads for granted, but appreciate them. Teaching children to stay stoical when times are tough gives them a powerful perspective that helps them improve their resilience, their relationships, and ultimately, their lives. It even improves teachers’ lives, too! When I was 16, after having completed my GCSE examinations, myself and a few friends travelled to London for a few days of sightseeing. We visited the Palace of Westminster on our last day and out of the corner of my eye, I spotted our local MP. As any group of precocious and politically aware grammar school boys would, some of us decided to go over and greet our Member of Parliament. At the time, our MP was Graham Brady, who had just resigned from his position as Shadow Spokesperson for Europe in light of David Cameron’s pronounced objection to any further expansion of grammar schools in England. Myself, and one other friend of mine congratulated him on his principled stand. My constituency at the time was in the heart of Trafford – one of fifteen selective local education authorities still left in England. Our school was one of the remaining 164 grammar schools in England after the Crosland scythe in the 1970s (As he so eloquently put it:“If it’s the last thing I do, I’m going to destroy every f****** grammar school in England. And Wales and Northern Ireland”). At the time, we thought Brady was absolutely right to defend grammar schools, particularly as our school and many others in Trafford were so oversubscribed and successful in the national league tables. Our school was also a Catholic grammar, which meant that it selected on religious grounds, as well as academic. This made it somewhat more interesting, as catchment selection was much further down the pecking order than most grammar schools where they are often stuffed full of middle class kids whose parents didn’t want to stump up the private school subs but were willing to move into the school’s catchment area – selection by stealth, and wealth if you will. As a result, our kids had a real mix of middle class and less affluent pupils, many of whom went on to Russell Group and ancient universities. I certainly didn’t change my mind at university. In my final year of university, I was asked to speak at the Union Debating Society on the subject of grammar schools. I had just received an offer for teacher training and I was more than happy to run the gauntlet and forgo my progressive credentials in favour of the archaic residue of the discredited tri-partite system. Needless to say, the NUT representative I was up against was not particularly inclined to speak to me afterwards. For me, it was a social justice issue. At the time, I thought it was patently obvious that comprehensive schools had led to an hourglass ‘bulge’ in British society. Either your parents could afford expensive private education, which allowed you to discern the linguistic and practical pathways to real success in the professions, or you had to sink or swim in a comprehensive system which had imbibed the progressive educational mantras of the 1960s and 70s. There was very little chance of bridging the gap, unless of course your comprehensive was ambitious enough to create a truly intellectual environment, or your family and background was conducive to aspiration and self-discipline. If we take the political class as the harbinger of educational outcomes in this country, then we can see a clear divide pre and post mass grammar school closure. The top end of Britain’s political class, in the post-war period became increasingly diverse, socio-economically speaking. The era of Churchill and Douglas-Home (who incidentally had to give up his seat as a hereditary lord to become Prime Minister) had given way to the era of Harold Wilson, Edward Heath, Margaret Thatcher and John Major – all fairly ordinary pupils who were able to attend a grammar school. Prior to 1964, every single Prime Minister had been educated privately, with the notable exceptions of the three Williams (Cavendish, Petty and Pitt), David Lloyd George and Ramsay Macdonald. The majority of those Prime Ministers were not only educated privately, but at a handful of the elite public schools of England. The rapid succession of grammar school alumni replacing traditional elites in the corridors of power was impressive given the narrow time-frame that grammars were operating. This of course can be attributed to other factors too, however, it is clear that the rubber-faced professional political class of the 21st century (Blair, Cameron, Clegg et al) is testament to the failure of the comprehensive sector post 1976 to flatten out the hourglass bulge of British society. I didn’t even change my mind when I started my teacher training. I went through the Teach First route and was placed in a special measures school for my first two years. The relative lack of subject specific training made it increasingly clear that if you are passionate and knowledgeable about your subject, and saw that knowledge as one of the keystones of cultural transmission and enabling the very poorest to be equipped with the cultural literacy to go head to head with the top private school pupils, then you aren’t necessarily valued as highly as those trainees who are able to espouse generic ‘skills’ based platitudes to please senior leaders who are trying to keep the Ofsted hydra at bay. Even for Teach First, it is a social justice issue to ensure that pupils are equipped with appropriate ‘skills’, without appreciating that critical foundational knowledge is always required as an enabler of creativity. For Teach First and many who wish to improve social mobility, there is a distinct contradiction between ends and means. During my summer institute training, I spent more time with sticky notes and posters than I did fully exploring the subject specific requirements of history teaching. It’s no wonder that many of these teachers who are so focused on their subject either run for the hills after five years in the comprehensive sector or end up in a grammar or independent school where they could be part of an environment which is far more intellectually stimulating. I didn’t actually think it was possible to create that sort of an environment. Ultimately, as soon as you start thinking of education in terms of engagement rather than rigour, then it is rarely possible to achieve that sort of intellectual ‘buzz’ that is needed to foster genuine scholarship. I certainly didn’t think it was possible to create that environment with the toxic and reductive culture of bureaucracy and anti-intellectualism so evident when schools are too busy chasing targets to properly focus on curriculum. I changed my mind when, after a few months in working at Michaela, I could discern an atmosphere of scholarship and self-discipline which was actually far better than my own grammar school experience. In many grammar schools, there can often be a culture of complacency where the actual instruction is lacklustre and the pupils spend longer laconically chatting to their mates than they do getting their head down with some serious work. These kids still out-perform the rest because they are generally middle-class, have teachers who have bags of subject knowledge to push the high achievers and do oodles of work at home and in the run up to examinations. When I was in Year 9, I was sticking in pictures of First World War propaganda posters and drawing diagrams of trenches. Some of our highest ability Year 9s are writing essays which could pass quite happily as A Level standard. After seeing the discipline, ambition, persistence and genuine intellectual curiosity of the pupils here, I realised that it was absolutely possible to replicate and improve the grammar school experience for the very poorest children. When I realised that the pupils who attended Michaela were from the same demographic and socio-economic background as the pupils I taught in my previous school, the penny dropped. It is liberating to work in a department where we discuss what to teach and how to ensure it sticks, rather than the dull and monotonous regimes of data meetings, target setting and school-wide ‘marking priorities’. Evidently, this isn’t intending to outline the advantages and disadvantages of the grammar system. If, like me you view education as intrinsically valuable, rather than just utilitarian then it is patently unjust to allow one segment of the population a different, more academic curriculum than the other, based on a procedurally flawed 11+ assessment – even if many pupils elect to choose a vocational course at a later stage. It took me until recently to see that this was actually possible. This post is merely to show that many people think it impossible, or certainly unlikely to truly replicate the intellectual buzz and ambition of a grammar school in the comprehensive sector, for a variety of reasons. It is clear that this is not the case, which is now why I think grammar schools are a costly distraction from the fundamental problems of the English education system. However, we have a long way to go until the majority of state comprehensives transform into the repositories of knowledge which will improve social mobility and which every child deserves as their inheritance – truly ‘grammar schools for all’. Every time an article pops up about the problems of pupil behaviour in state schools, the lack of knowledge of first year undergraduates, dumbing down, or the latest Ken Robinson-esque gimmick to capture of imagination of earnest trainees, then MPs like Graham Brady and the grammar school lobby rub their hands with glee.